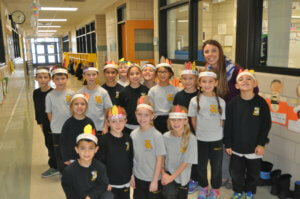 To supplement the first-grade curriculum, Mrs. Fazzoni’s students participated in a Native American Day celebration. 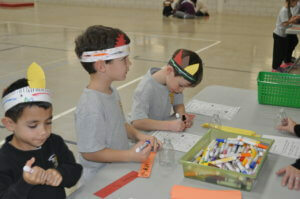 The children enjoyed several Native American games and crafts to help them gain an understanding of how Native American children lived and played. A fun time was had by all!